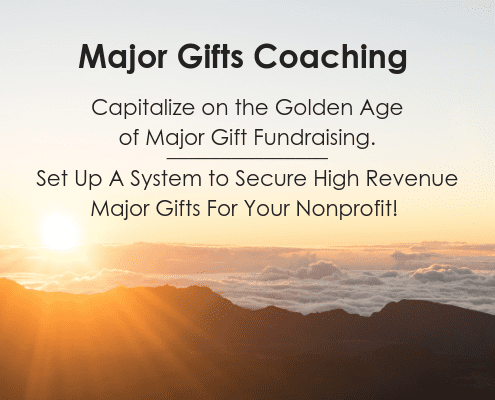 Here’s a natural, friendly and much more successful approach to major gift fundraising. I’m showing you how to develop a warm, easy relationships with your major gift prospects. Relationships where they feel heard and understood. A relationship that builds trust and credibility. When you take a donor-centered approach to a major gift, you let the donor lead the way. She feels entirely in control. She never feels “presented” to or pushed. And she’s much more likely to end up with a generous major gift coming from her heart – and she’s with you for the long term. With this approach, you are continually qualifying your donor in terms of her interest. Should you continue to invest time with her? Or turn to another donor prospect? You can get this entire set of questions in a downloadable pdf by clicking here. 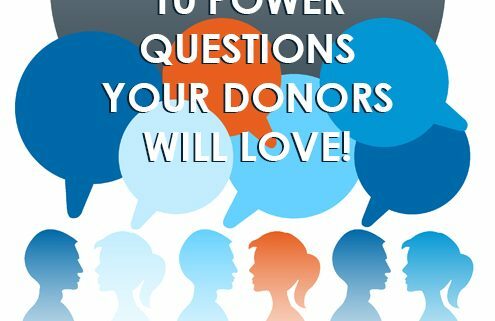 These conversational questions will inspire your donor, help build her interest, and ultimately open the asking conversation. 1. What inspired your gift? We do a lot of explaining and sharing information with our donors. But we don’t ask donors to talk to us enough. Think of yourself as a detective. Your donor has contributed to your nonprofit for a specific reason. It’s up to you to find out why. It may be something in her past. It may be a friend who is influencing her interest. It may be just your message. It could be something deep in her heart, part of her personal moral values. When you discover why your major gift prospect has made a gift, then you are able to create a deeper stewardship experience for her. You can acknowledge and thank her in a personal way that speaks to her uniquely. 2. I’d love to know your story. Your donor probably has an amazing story to tell about why she cares. It’s a story that may come deeply from her heart. She is probably dying to share her story. But no one is asking. And she’d enjoy so very much, sharing it. This question helps you find out if your donor is a wildly passionate True Believer in your cause. Just how interested or enthusiastic is she – or not? This question helps you qualify your donor and determine if you should spend more time with her – or not. You really do want to know as much as you can about your donor. Encourage her to keep her talking by asking her this question. Remember, you honor your donor by listening to her. No one listens any more. You are making a gift to your donor of your presence — by holding the space for her to share details about her story. 4.What are your impressions of our organization? Asking your donor for their “impressions” gives her a wide open door to share whatever is at the top of her mind. What does she really think? 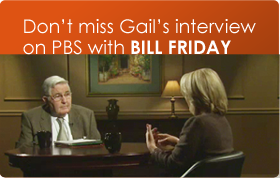 How does she really feel about your nonprofit, your colleagues and even your own work? Is your donor satisfied with her interactions with you? Just how committed is she? Asking this question is like opening a box of chocolates — you never know what you are going to get! You may be surprised by her answer. Only by finding out what is on her mind, will you be able to move forward in a trusting relationship that might culminate in a major gift. And you’ll get clues on how to design a personalized cultivation experience for her – one that will make her happy and bring her joy. 5. What part of our work interests you most? Now it’s time to get specific. Exactly what part of your work is your donor most passionate about? Is it the kids? Is it the whole family? Is it your service network or finances? It may even be the garden. You never know until you ask. 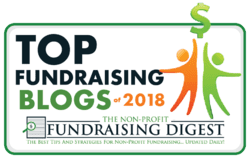 Many fundraisers make the mistake of assuming their donor’s area of interest – and then they are surprised when the donor says no to an ask. 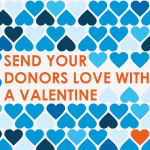 Once you find out your donor’s interests, then you can help her learn more and more about her favorite area. She will enjoy what she’s doing and learning, as she gets more and more involved. When you find out her passions and interests, you can design personalized engagement experiences for her that will delight her and bring her joy. Then it’s easy to simply ask for permission to ask. And presto! 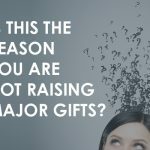 You are discussing her gift and what she wants to accomplish. 6. How did you come to be so generous? This question is from the very smart Kent Stroman’s book, Mastering the Art of Conversational Fundraising. I love this question because you’ll find out about your donor’s philanthropic priorities. What is he or she giving to? Where else is she involved? What are her commitments? Who else may be influencing her giving decisions? If you want to design a successful ask, then you need all this information. Again, you don’t want to assume that she is an “A” level prospect when she is really a “C” or “D” level, because she is committed to other causes. Most major gift prospective donors are happy to share their philanthropic vision with you and they appreciate being asked. It creates openness and trust when you discuss these issue. 7. Ask for advice and input. I love, love asking for advice and input. I once asked a corporate donor how we should “present” our corporate sponsorships to the business community. He shared with me what he wanted to see from us. I delivered it. And we closed his $100k sponsorship the next day. “How can we fund this project for the community? “Who should be at the table? “Who would be good donors to support this effort? “Who can open the door and make an introduction? “Do you think a certain donor in our community would be interested? This engages them in the strategy part of your fundraising effort. They know so much! And they can be SO helpful. When they start offering advice and assistance, then they, in a way, join your team. They feel like they are “insiders.” And their interest is growing and growing as they enjoy themselves. 8. Could you see yourself becoming more involved in our organization? This is so important. Yet again, you don’t want to make an assumption about a donor’s level of interest. Your donor may ask you what you mean by this, and you can mention volunteering, serving on a committee or becoming more financially involved. I like this question because you must, must qualify your donor and find out whether and how she might like to be involved. Your donor will tell you what she is interested in and what she wants to do – but only if you ASK her. Again, this terrific question comes from Kent Stroman and Mastering the Art of Conversational Fundraising, which I highly recommend! 9.If you made a major gift, what would you like to accomplish? When you have an engaged, interested donor, who has capacity – then it’s perfectly fine to ask them this question outright. You are, in fact, a fundraiser. And your role is to “facilitate” your donor’s interest in giving to your organization. It’s your job. Of course you should be having discussions like this with your donor. Again – don’t assume your donor’s interest area. Make no mistake, she probably has a very clear notion of what she wants to accomplish. You’ve been helping her learn more and more about her area of interest and she’s probably been pondering this question all along. 10.Would you like to know more about how you could impact this project? This is one of my favorite questions – because it clearly opens the ask conversation. One my mottos is to “ask for permission to ask.” I like to let the donor lead the way. If she is ready to have this discussion, she’ll let you know. Then you just sit quietly and let the donor consider this. You’re moving from the hypothetical discussion of what might you like to accomplish into something much more specific. Now you’ve develop an open trusting relationship with your donor by carefully listening to her and her preferences. Once the idea of a gift is on the table, keep listening to her ideas. Ask her what other questions she needs to have answered in order for her to make a decision. You’ll know what the next steps need to be. Pretty soon you will have closed her gift – you’ll have a happy donor and new funding for your mission! 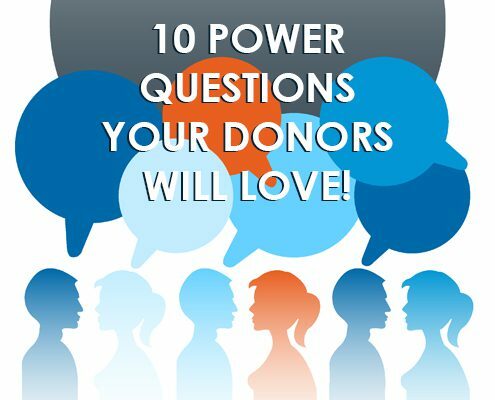 Use these donor-centered questions to listen your way to a major gift!